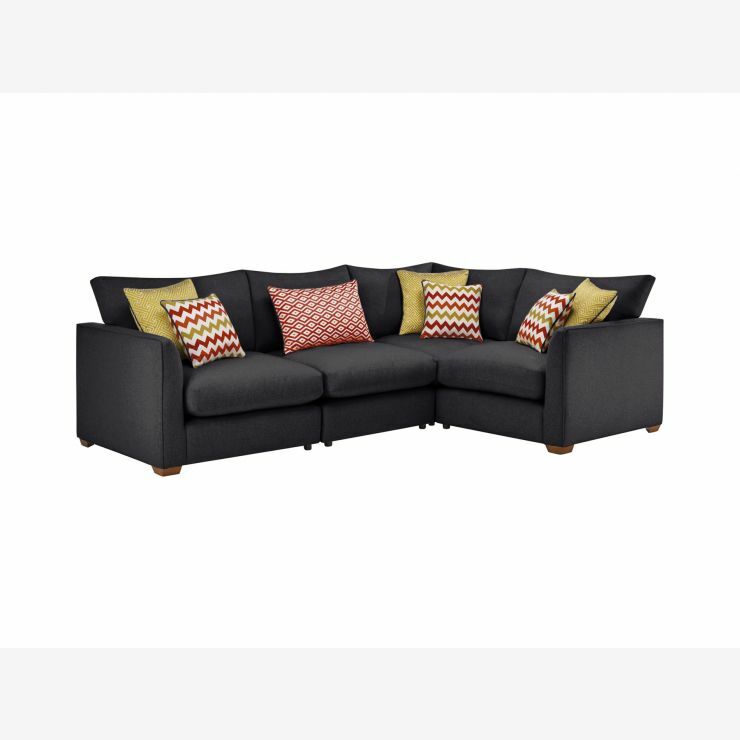 Both versatile and stylish, the Modular Group 2 corner sofa in Delia Charcoal from the Maddox sofa collection will add comfort and class to your living room. Built with a solid hardwood frame and oak feet, you can rely on it to provide lasting durability for years to come. The seat and back fabric sofa cushions are fibre filled, ensuring they maintain their shape while providing luxury comfort. Subtle piping detail on the arms and cushions gives this L-shaped sofa a smart finish, promising to bring lasting style and cosiness in your home.